Bring the beauty of the heart of America to your home. Our Amish Mission Deacon's Bench is built to last by dedicated woodworkers. 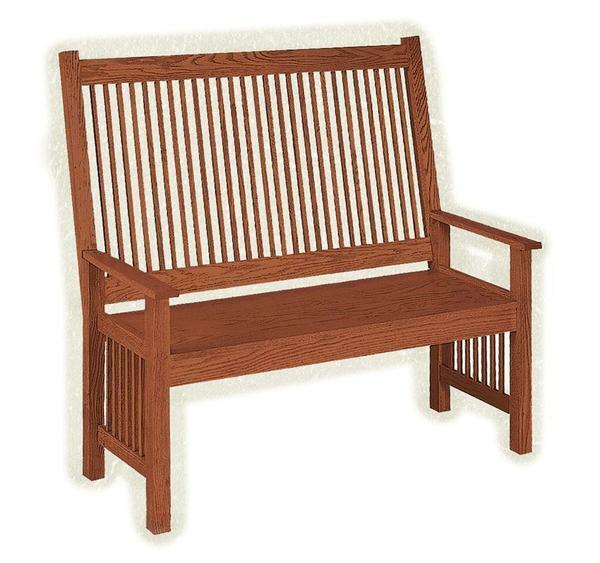 Carved to perfection just for your home, you will not be disappointed by the superb mortise and tenon construction of this solid hardwood bench. It features solid joinery methods, ensuring many years of use and enjoyment for you and your family. Choose from oak, cherry, quartersawn white oak, or brown maple for your new bench. Our solid hardwoods are handpicked and sourced from right here in the United States. Feel good about owning a bench that is American made through and through. Consider our Amish American Mission Deacon's Bench with Storage as another option to bring fine Amish furniture to your home. Should you have any questions, please feel free to give us a call at 866-272-6773.